We provide a range of professional learning services to support principals and / or leadership teams developing their instructional leadership skills to support teachers adjusting their instruction to improve student learning. We find that when principals openly demonstrate instructional leadership it changes the school culture and tightens everyone’s accountability towards improved student learning. developing administration systems (e.g. workforce planning and program budgeting) that support instructional leadership. 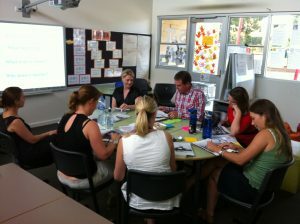 workshopping, demonstrating and co-leading classroom observation protocols (e.g. walkthroughs, learning walks and instructional rounds) that provide feedback to teachers and leaders on the progress of teaching adjustments to improve student learning.